Grundig, alongside the famous Romanian architect and interior designer Corvin Cristian and Ileana Raducanu, editor-in-chief ELLE DECORATION, launched an educational project for the people passionate by interior design. 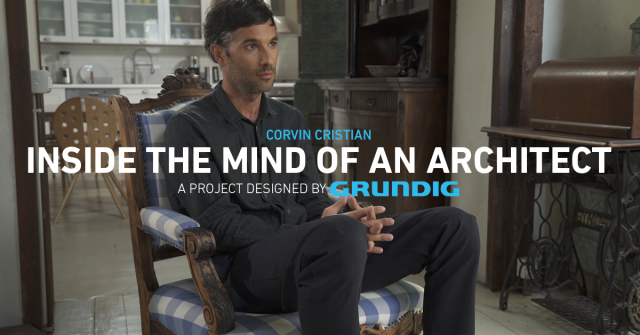 The project debuted with the launch of Inside the Mind of an Architect, a documentary that reunites a series of pieces advice regarding the interior design, offered by Corvin Cristian, and the first video guide dedicated to the interior design. Most of us spend the majority of our time inside – the house, the office, in restaurants. Therefore, the creating of a design as pleasant as possible, but also the choosing of intelligent solutions such as sustainable technologies are necessary and bring us a state of good in the everyday life. Grundig has a clear philosophy: simplicity and elegance in design and complexity in innovation. In other words – the symbiosis between beautiful and functional, without any kind of compromise, everything starting from the fact that any product or action shouldn’t be guided by trends, but by the needs of those who want to make from “house” the best place in which they can be. Inside the Mind of an Architect presents the field of design from an unique perspective where the stories full of humor complete the pieces of advice and the useful principles. One will be able to uncover the secrets, the sources of inspiration and the principles of the interior design,as well as the process through which an idea becomes reality. The project includes a vast dedicated communication, both on Grundig’s platforms (Facebook, Instagram, YouTube), as well on Elle Decoration’s (online, print and Social Media). Moreover, the project is included in the international digital magazine K!tchnMag, supported by Grundig. Corvin Cristian has over ten years of experience in the interior design. He was a scene painter and artistic director for several cinematographic productions, locals and international. Since 2008 he has been leading a team of professionals specialized in projects for HORECA, retail and office spaces, offering innovative solutions for spaces as comfortable as possible, in a society found in continuous change. 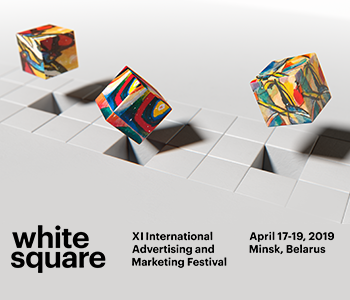 During the years his projects became the favorite destinations for most of us and received important national and international awards in competitions dedicated to the interior design: Bucharest Architecture Biennale, Restaurant and Bar Design Awards, World Interior News Awards, Frame Awards, WinAwards, Elle Decoration Romanian Design Awards (The Award for the Whole Career), etc. Ileana Răducanu has been the editor-in-chief for ELLE DECORATION for over a decade. Starting four years ago, Ileana initiates in this field hundreds of people passionate by the interior design,as a teach at DallesGO. She is also a volunteer in educational projects for teenagers in interior and object design and activates in several creative fields, such as cinematography and theater, as a script writer, producer or dramatist.